The Wildcard SSL certificate was specifically designed for ensuring the security of your main domain, along with its multiple subdomains. For instance, if your site’s domain is ssldragon.com, then the Wildcard certificate for “*.ssldragon.com” will secure an unlimited number of your first-level subdomains like mail.ssldragon.com, account.ssldragon.com or login.ssldragon.com. 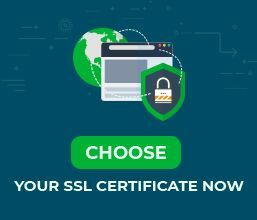 By buying this SSL certificate, you don’t need to purchase other certificates for each subdomain. The Wildcard SSL certificate comes in two options: Domain Validation (DV) and Business Validation (BV). Besides being a convenient way of securing your site, Wildcard SSL certificates are very easy to manage. All the domains will have the same renewal date. This is why you should consider getting Wildcard certificates if you own a complex website, with different subdomains, IP addresses or server storage options. 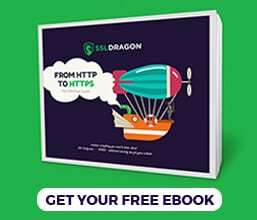 Yet, if you have level 2 subdomains (like test.account.ssldragon.com) or you need an Extended Validation (EV) SSL Certificate, you may have to buy a separate SSL certificate for each domain/subdomain or a UCC/SAN SSL certificate for all of them.